Couch looking drab, but don’t want to spend a fortune on a new one? 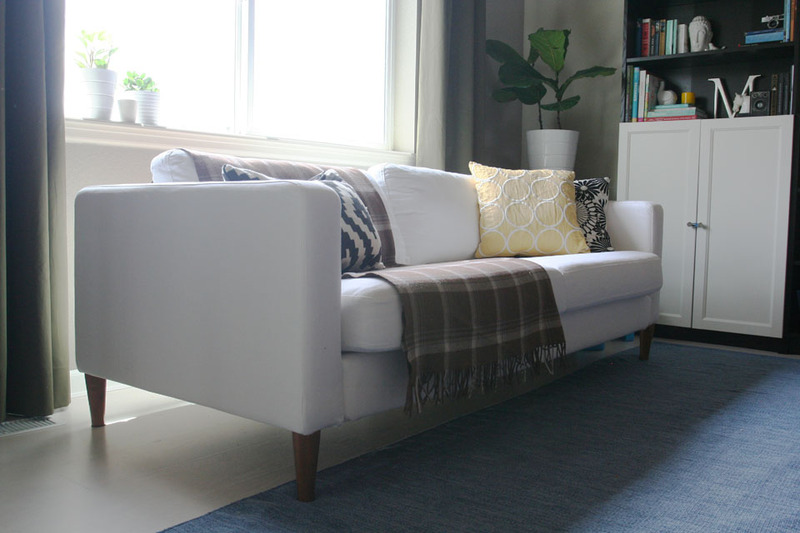 Here’s 5 tips on how to give your couch a makeover for cheap! 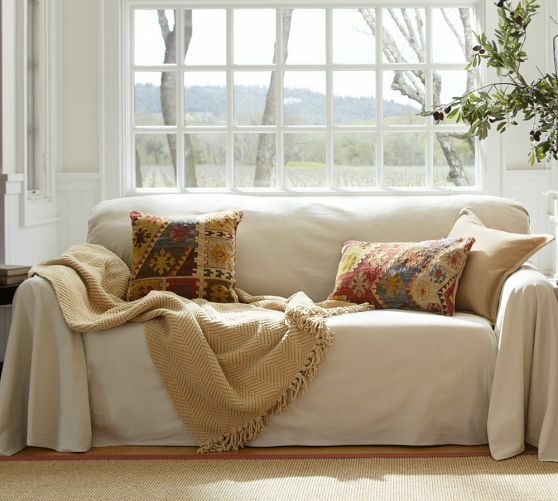 Give your couch the makeover you’ve always wanted by following our 5 tips! Get the biggest drop cloth you can find and lay it over your couch, estimating where you need to cut it. Make sure to leave extra for when you tuck and fold the cloth into the crevices of the couch. The amount of fabric you have is the key to it not moving or slipping. 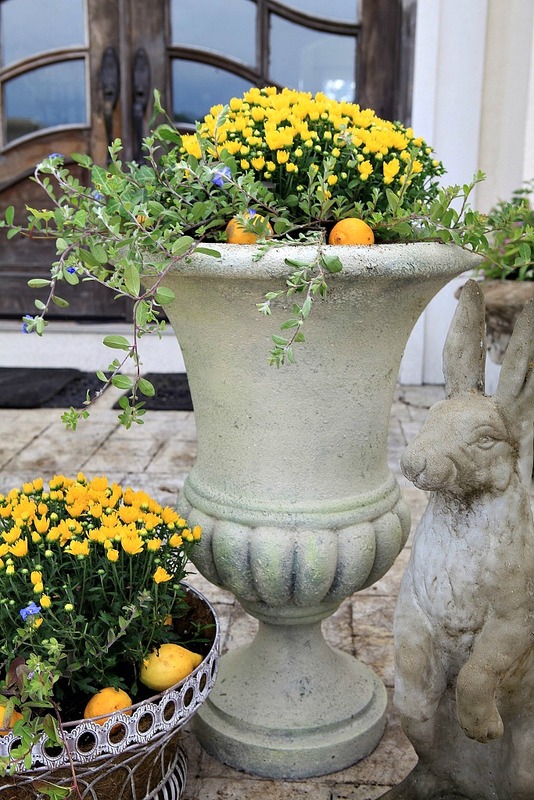 When you’re finished, add a few decorative pillows for a final touch. 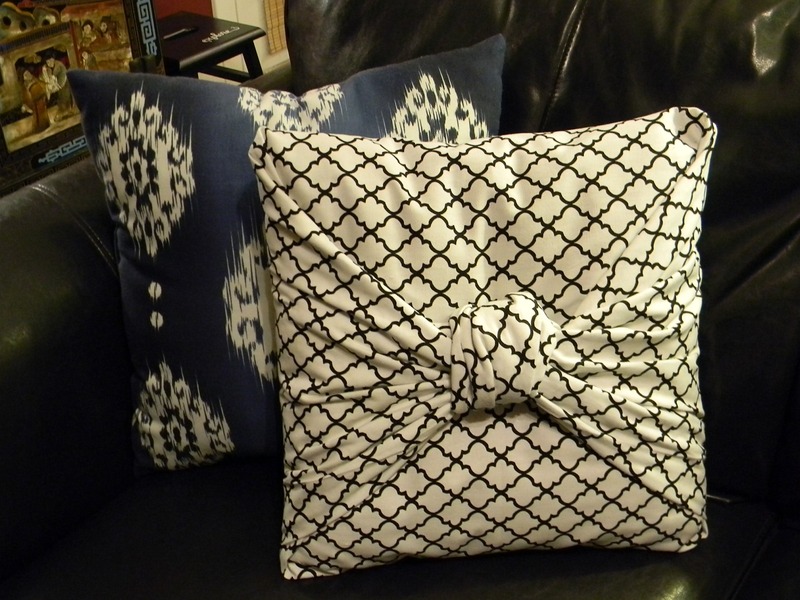 Change up your pillows without sewing! Lay a pillow flat over a piece of fabric larger than your pillow. Simply fold the fabric over the pillow and make a knot! Tutorial here. 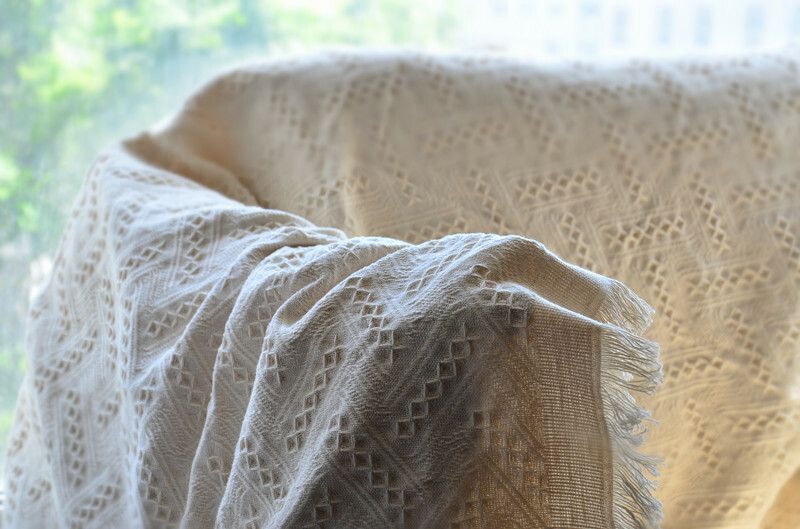 Using a large, thin blanket, simply drape it over your couch and tuck it in the crevices. Try one with fringe for a unique look. 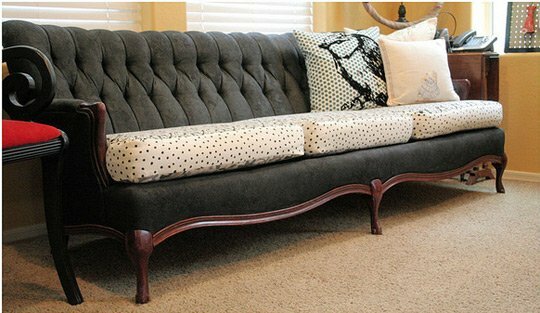 You can change the legs of your couch for a new look, or paint the existing ones to freshen them up. If you’re brave enough, you can paint your couch! Simply buy fabric medium and mix it with the acrylic paint of your choice. Tutorial here. Photos: Pottery Barn, Aliexpress, Fabric Bliss, Organize Your Stuff Now, Another Big Bite.